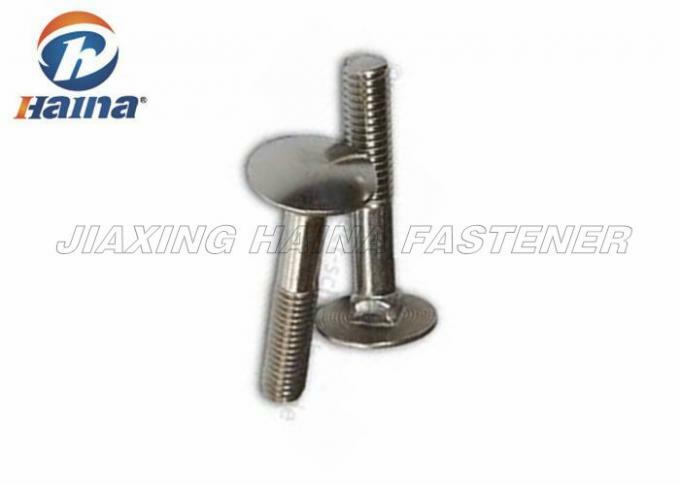 Our company name is Jaixing Haina Fastener Co., LTD. 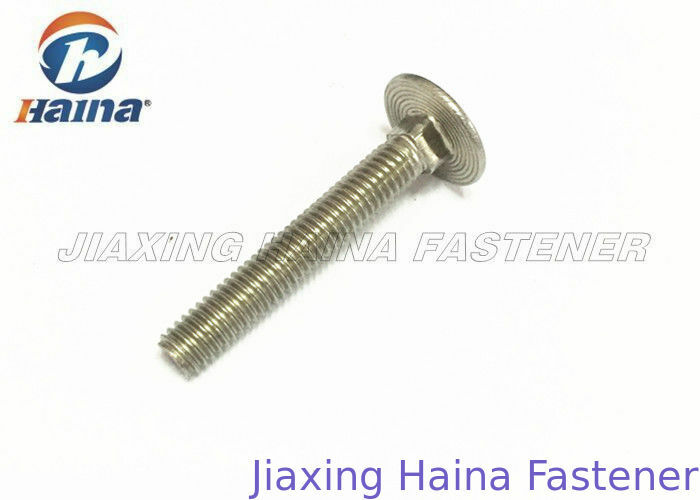 Welcome to visit our website www.hainafastener.com .Our company always adhered to the principle of "Customer is god, Quality is life " approach to our customers.We are specializing in all types bolts, nuts, screw, washers, threaded rods, anchors are our main products. Carriage bolt is also the best common product same as hex bolt. We can manufacture this stainless steel carriage bolt in accordance GB, DIN, ANSI, JIS, ISO, ASTM and customers' requirements with the best price. This carriage bolts have many standards: GB801, DIN603, DIN608 and ISO standard etc. The stainless steel products are always in stock because the demang is large. We have a large number of inventory, the delivery time of stock is about 5-7days or earlier. Our company has certificates ISO9001, we can guarantee the high quality with the best price. Hex head bolt often use for all kinds of machinery, home appliance, electronic products, computers, power switches, building etc. Metric series stainless steel carriage bolt generally supplied as per DIN603/DIN608 and ISO standard. Our produce size is 1/2”-4”,M5-M64 , the length is 2mm-500mm(1/4"-20").We often export carriage bolts all over the world. We have strict quality control from producing to delivery.Our company had strong technology support, 99% of our colleagues are master or bachelor's degree. We want to give customers the best service and quality assurance. We also have a good team for sale and quality control. If you have any demand on this carriage bolt, please contact us freely or send us inquiry and tell us the specification and details, we will quote to you at the soonest. Question 1: What's your packing? Our packing is 25kg/carton, 36 or 48pcs carton/pallet. One pallet is about 900kg-1000kg. Also can pack according to customers' requirements. Question 2: How about the price? Best price based on the quality. Please send us your inquiry, we will quote you price at the soonest.